This sale is for 1 piece, all are pulls and in excellent condition functionally. 3 out of 4 are Grade A, 1 piece shows scuff marks from wiping off the goop. Trending at $97.66eBay determines this price through a machine learned model of the product's sale prices within the last 90 days. Each refurbished item is cleaned, tested, and has a warranty. We also buy surplus and decommissioned data center hardware. Years of IT. Over 100,000. Why choose it-gear?. We are sorry for any inconvenience this may cause. Location: Sammy - G (matched pair). 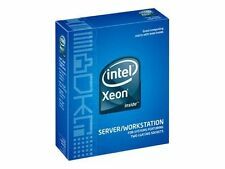 Sale is for two processors only. No exceptions. We have a limited knowledge of their prior use. New pulls from IBM x3850 X6. PART NUMBER SR20J. PROCESSOR NUMBER E5-1650V3. INCLUDE WITH PROCESSOR. INSTRUCTON SET 64-BIT. Bus Speed: 5 GT/s DMI. Socket Type: SOCKET 1155 (LGA1155). 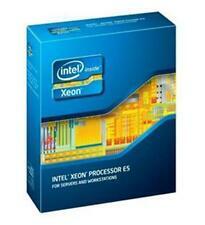 Processor Number: Xeon E3-1230 v2. L3 Cache Size: 8MB. Processor Core: Ivy Bridge-H2. Point of Sale (POS). Asset recovery and recycling services. 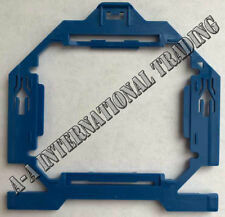 PART NUMBER BX80635E52697V2. CLOCK SPEED 2.7GHz. PROCESSOR NUMBER E5-2697V2. INCLUDE WITH PROCESSOR. QPI SPEED 8GT/s. INSTRUCTION SET 64BIT. WEIGHT 1LBS. 8 GT/s QPI. 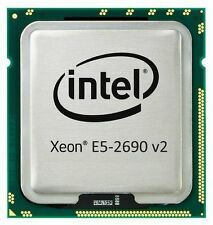 Model: Xeon E5-2667V2. We are not in the office over the weekend. Tamsolutions is an R2 Certified recycler. All serial and part numbers are kept on record to prevent fraud. Tested for Key Functions, R2/Ready for Resale. Trending at $190.00eBay determines this price through a machine learned model of the product's sale prices within the last 90 days. We are not 100% sure which model this ES represents, but we believe the most similar model is the E7-8860 v3. Included in the sale is the processor only. No cooling components or thermal paste is included. SSpec: SLBZ8. Notes on sSpec SLBZ8. 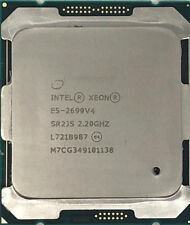 Model : Xeon E5649. Processor number E5649. Socket : LGA1366. 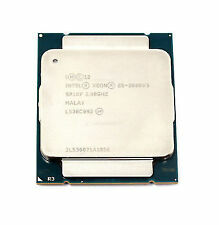 Socket type Socket 1366 (LGA1366). Type CPU / Microprocessor. This part supports Turbo Boost Technology. Processor Number: OS4386WLU8KHK. Socket: C32. 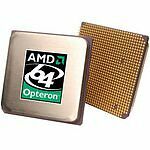 Manufacturer: AMD. SAN Storage. Processor Cores: 8. Bits (Instruction Set): 64-Bit. You may be interested in. Clock Speed: 3.1GHz. 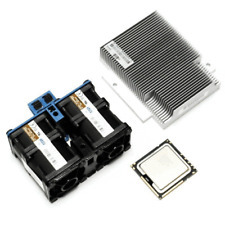 Socket Type: Socket 2011 (LGA2011). L3 Cache Size: 15MB. Processor Core: IVY BRIDGE-EP. Processor Number: E5-2620V2. Point of Sale (POS). Asset recovery and recycling services. The truth is out there! CODE: SR0L0. SOCKET: LGA 2011. SKU: SR00P. Notes on sSpec SR00P. Socket type Socket 1155 (LGA1155). Type CPU / Microprocessor. Processor number E3-1275. Processor core Sandy Bridge. Case temperature (°C) 72.6. The embedded part is discontinued. Stepcode - SLBV8. Socket - LGA1366. Cache - 12MB. It is in Excellent conditions: it was only used for limited operation tests. This item has been successfully tested for power on/key functions and is R2/Ready For Resale. Pulled From A Working Server . The item exteriors may have minor scratches, scuffs, dents, cracks, nicks, etc. Part No SR0L1. HARD DRIVE TRAYS. POWER SUPPLIES. GRAPHICS CARDS. ANTI-STATIC BAGS. SERVER BOARDS. We will not be responsible for any incompatibility issues with your unit. OTHER ACCESSORIES NOT SHOWN IN PICTURE ARE NOT INCLUDED! # of Cores 12. # of QPI Links 3. Bus Speed 8 GT/s QPI. Trending at $83.31eBay determines this price through a machine learned model of the product's sale prices within the last 90 days. Processor NumberE5-2670. Product Specifications. ConditionLike New. CompatibilityHP SL270S Gen 8. Socket TypeFCLGA2011. Clock Speed2.6GHz. Part NumberSR0KX. 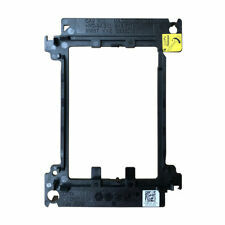 Part Number - SR19F. 12 Core - 2.4GHz. We will have one of our representatives respond as soon as possible. Serial numbers received may vary slightly from what is shown in the photo. All part numbers will match exactly. Stepping Code: SLBVE. Processor Number: W3670. Socket: LGA1366. SAN Storage. Processor Cores: 6. Bits (Instruction Set): 64-Bit. You may be interested in. Hyper Threading: Yes. Pulled from a fully tested and working Asus G11CD gaming laptop. ü We log ALL serial numbers. ü Local pick-up is available.